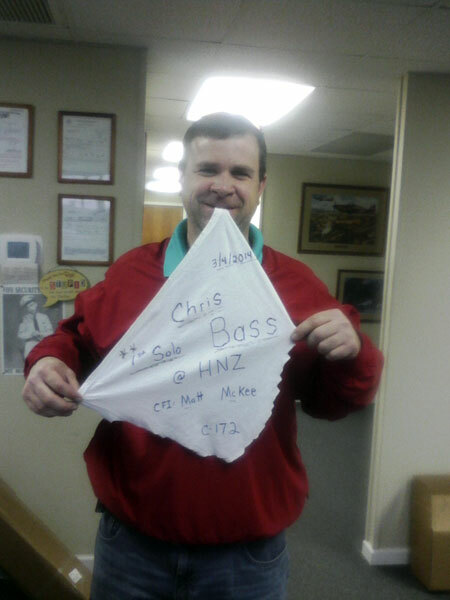 Chris Bass soloed on March 4th, 2014 in a Cessna 172, N8432U. After his solo flight of three take off and landings, we cut off his shirt tail to commemorate the occasion. 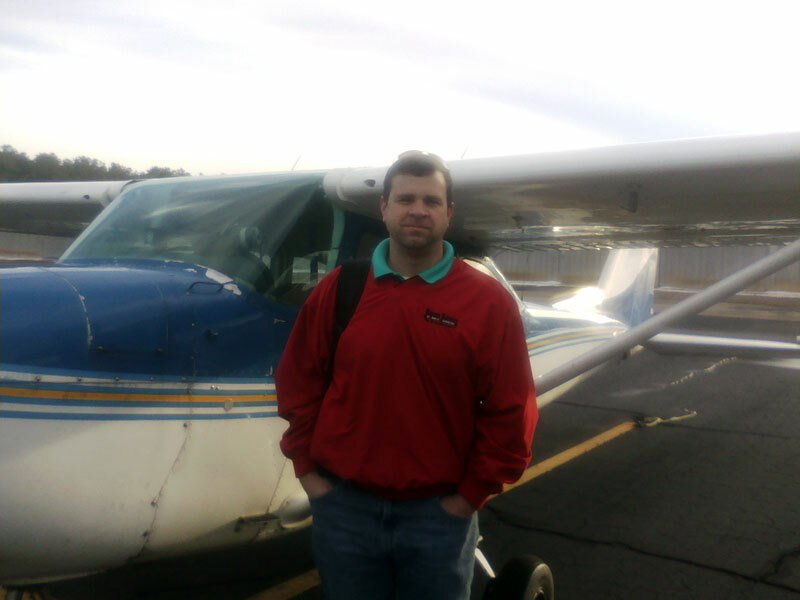 Chris plans on earning his pilots license to fly for pleasure and to fly to activities related to his business.